We propose a wearable projection system that displays both public and private information concurrently. 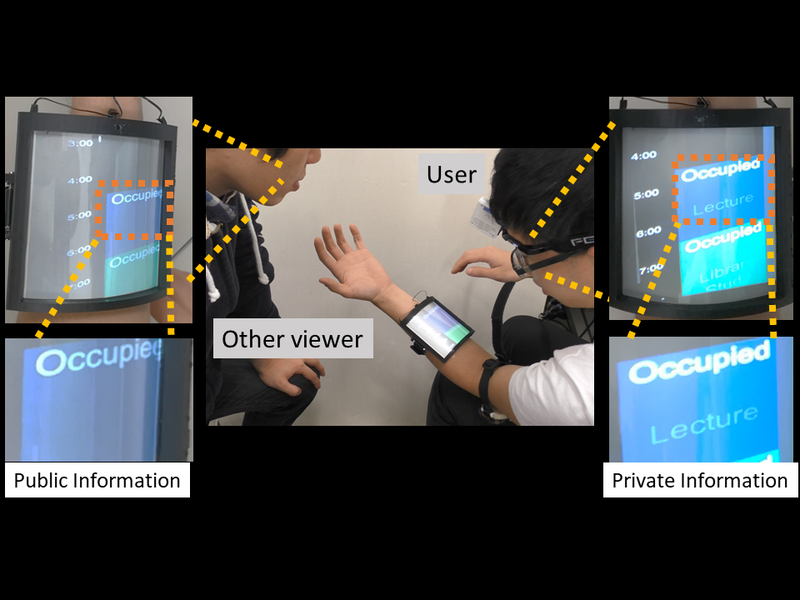 The system is composed of a 2-layer forearm mounted screen and a head worn device which projects images on the screen. The screen can be switched between two modes, light-diffusing mode, where projected image is visible to the surrounding viewers and light-transmitting mode, where projected image is only limited to the user. We conducted a set of design workshop to identify the optimal placement and interactions with this display system. We also implemented three display methods to present public or private information, which are contextualized with several use-case applications, supported with four sets of gestures.